Mike Schoor works as a retained or contingency-based Executive Recruiter for an interesting array of confidential global and regional companies. To distinguish himself, he takes an active personal interest in his clients’ companies and lives. Mike searches foremost for great people. “Great vision without great people is irrelevant,” wrote Jim Collins in “Good to Great”. Mike’s goal is to help good companies become great and to help great people fulfill their potential. To that end, Mike also developed a sales training program focused on credibility and humility. He presents all of it in a way that makes you smile. The inspiration for everything Mike does is his many years coaching high school basketball. Coaching and business both require leaders to nurture and develop talent. Servant leadership is at the core of everything Mike does. Previously, Mike was an Emmy-winning television sports anchor, reporter and producer. Ask him about doing live TV from Alabama and Auburn football or producing the pregame show for Magic Johnson’s Showtime Lakers as well as Roy Firestone’s “Up Close” Show for ESPN! Trading television for Wealth Management and starting from scratch – Mike co-founded and grew one of the largest partnerships in the company at UBS, personally managing $ 115 Million. He sold the business internally in 2005. 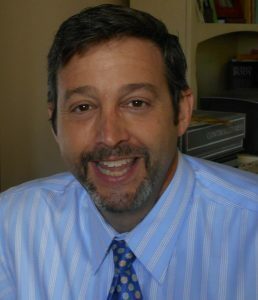 Rosenthal Schoor enables him to combine his rather unique background into problem solving for companies across a wide spectrum – recruiting, marketing, sales training and even video production. Mike is the on-line face and voice of some of his clients. In addition to coaching basketball, Mike has raised money and awareness as a board member for the YMCA, the Autism Society, the A.C. Reynolds Leadership Academy and Jewish Federation. He co-chaired 5 YMCA golf tournaments that raised thousands for youth sports. Mike is a Phi Beta Kappa graduate of the University of North Carolina at Chapel Hill, and has an M.A. in Management from the University of Southern California where he attended on a full academic scholarship. He loves his fiancée Laura and her super kids as well as fitness and golf. Always a coach, his greatest satisfaction is helping people succeed.